Print out the picture by clicking the “Download Here” link above. Our handy visual guide will show you where the forks, knives, spoons, and napkins go! 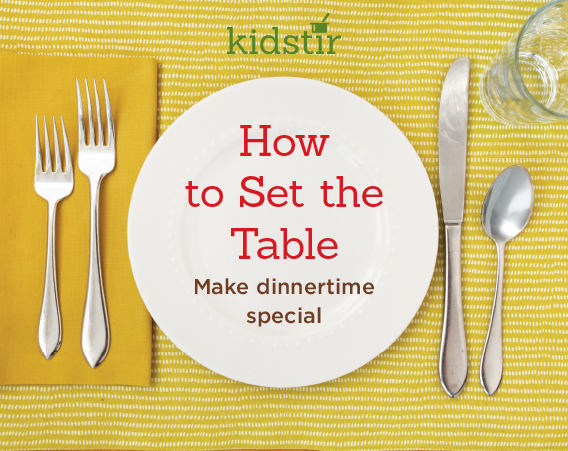 Put the salad and dinner forks on the napkin to the left of the plate. The knife and spoon go on the right side. Place the drinking glass just above the spoon. Now invite everyone to the table—dinner is served!